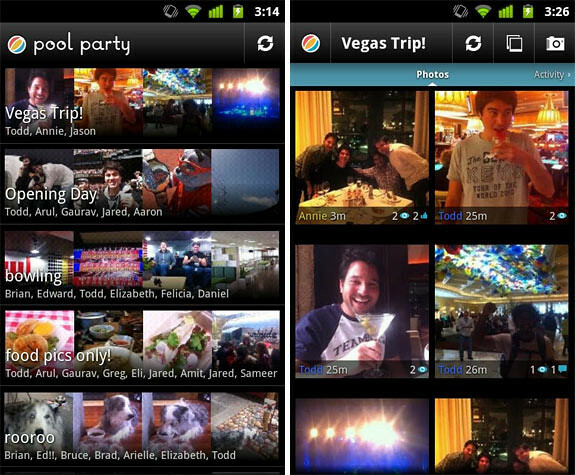 Last month we posted about Pool Party app, Google’s answer to Instagram. The main function here is group sharing, where users contribute photos into a group album — a pool if you will, and your friends can contribute to the pool by adding in their photos. You don’t get fancy filters like on Instagram, but this one might interest those who loves to collaborate with friends in creating a pool of photos. The app is still in beta and users can only join if they have an invite… but seems like it will never be able to see the light again as the makers of the app, Slide, has just announced that their products will be discontinued within the coming months. Thank you so much for being a beta tester and early adopter of Pool Party. As you may have seen, Slide recently announced that most of its products will be discontinued over the course of the coming months, including Pool Party. Starting in a few days, Pool Party will no longer be accepting new photo uploads. Pool Party will shut down completely on October 14th, 2011. To download your photos, log in to www.poolpartyapp.com. You can download any photos you’ve uploaded as well as all photos from any of your pools. This functionality will be available until October 14th. So there you go. Make sure to download all the photos you posted there before they close down.